Can you believe today is the last day of February? 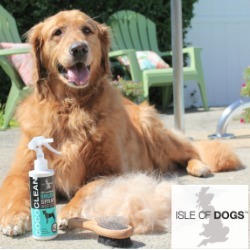 We thought this would be a great time to do a roundup of the latest products we have been giving the Goldens to help keep their teeth and gums clean and breath smelling fresh. 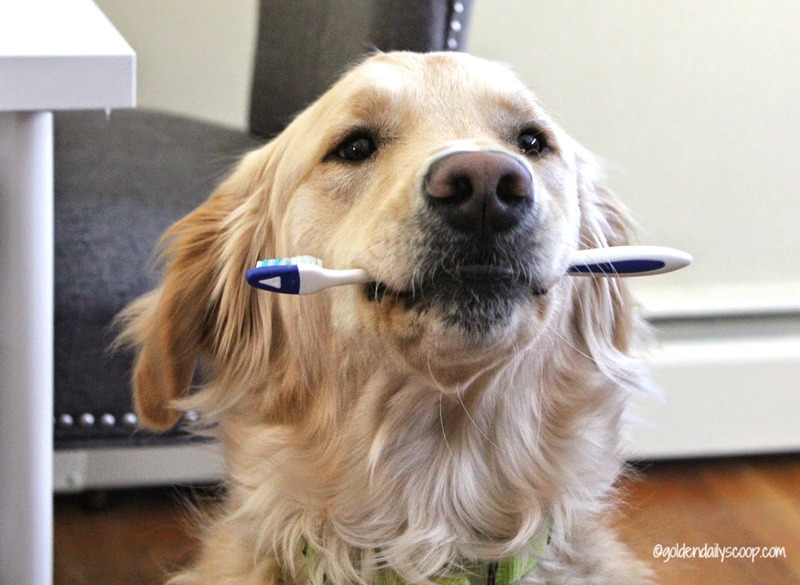 As I have mentioned before, I am very fortunate that the Goldens are so good when it comes to brushing their teeth with just a toothbrush and some paste but I do realize that isn't the case for everyone. 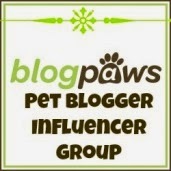 Our goal for this post is to take the stress out of dental cleaning for dogs and their owners. 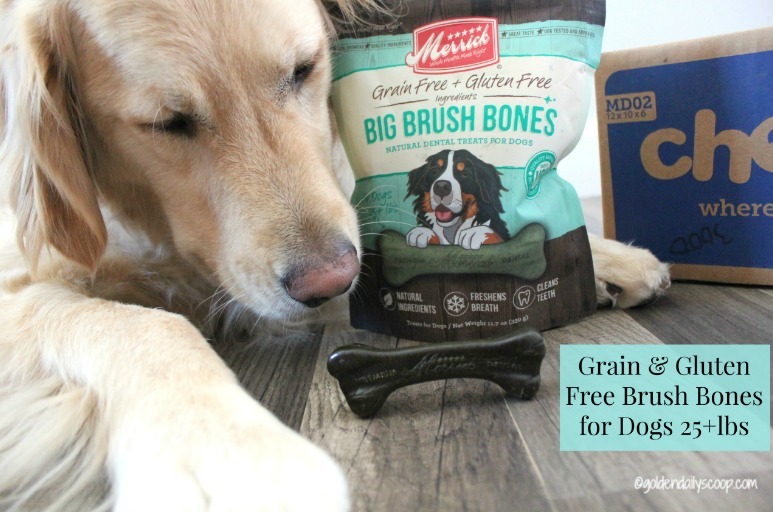 With that said, it is so important that you have your dog's teeth and gums checked at their annual vet visit and in between those visits below are some products that will help keep those pearly whites shining without a toothbrush! A toy that acts like a toothbrush! 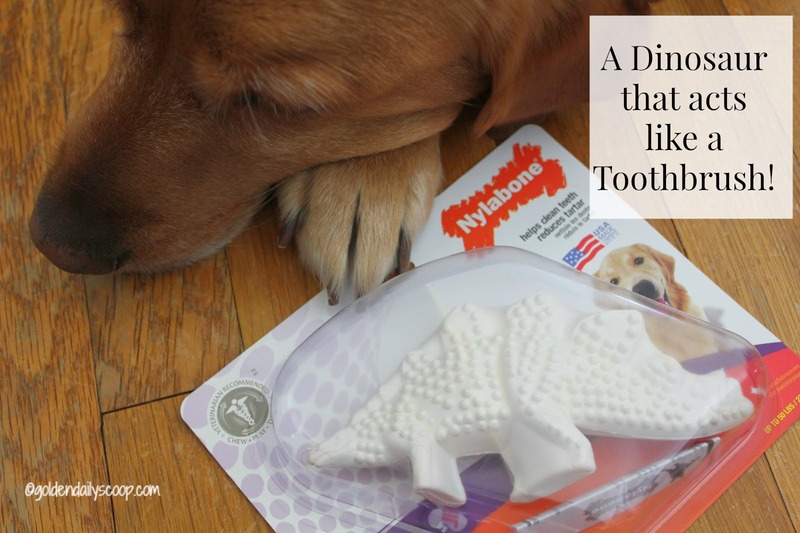 Maggie LOVES her Nylabone Dental Chew Dinosaur, it's just like her other Nylabones but this one has a unique texture of rounded nubs that really help to clean their teeth as they chew. 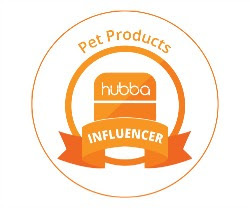 The Pura Naturals Pet All Natural Tooth Salts are a chemical and dye-free way to gently clean your dog's teeth and gums. With just three simple ingredients; Sea Salt, Sodium Bicarbonate and Peppermint Oil all which help prevent tooth decay and freshens their breath. 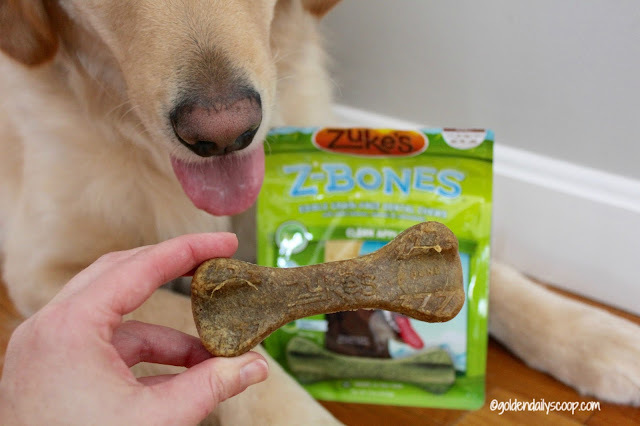 Zuke's Z-Bones come in 3 tasty flavors, Bruin love the Clean Apple Crisp. These bones are made from a potato and pea formula which makes them great for digestion. The texture on these bones really helps to polish their teeth. TropiClean Fresh Breath is a safe and natural additive for oral care that helps remove tartar and freshen breath with it's green tea extract. Just pour a capful into your dog's water dish every morning and your done! 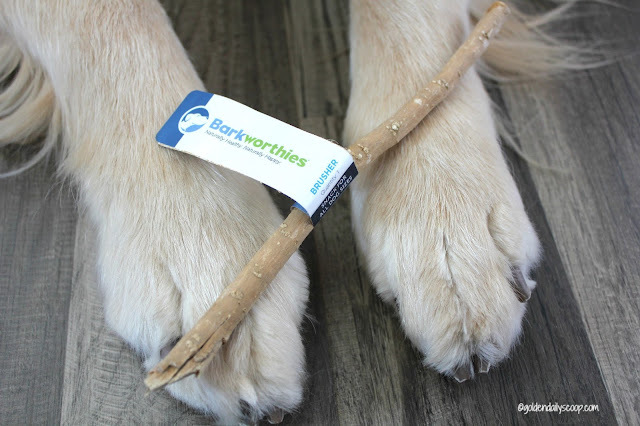 Barkworthies Brushers are crafted from the branches of the East Indies Arrack Tree. 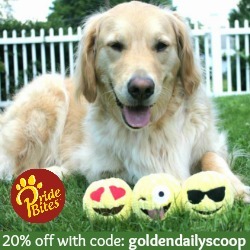 These 100% organic dental chews have "bristles" that act like dental floss by cleaning between the canine teeth. When chewed, they release an antibiotic that helps naturally suppress the growth of bacteria and plaque. Merrick Big Brush Bones are just that, BIG! 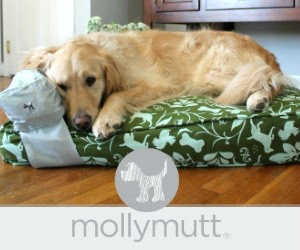 They are grain & gluten free and are made for dogs 25+lbs. Bruin loves the chicken flavor and being such a big bone, it's great for powerful chewers. I love these products because they all do double duty - a tasty treat that cleans their teeth and gums as well as freshens their breath! How do you keep your dog's teeth clean? That Pura Naturals product looks interesting... haven't seen that one before. And a STICK! Oh my... 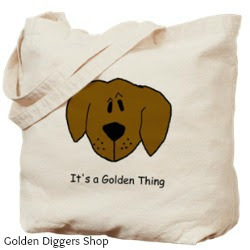 I know some doggy that would probably like to get her paws on that. Haven't seen that one before either. Those look very yummy indeed! We'll have to try them! 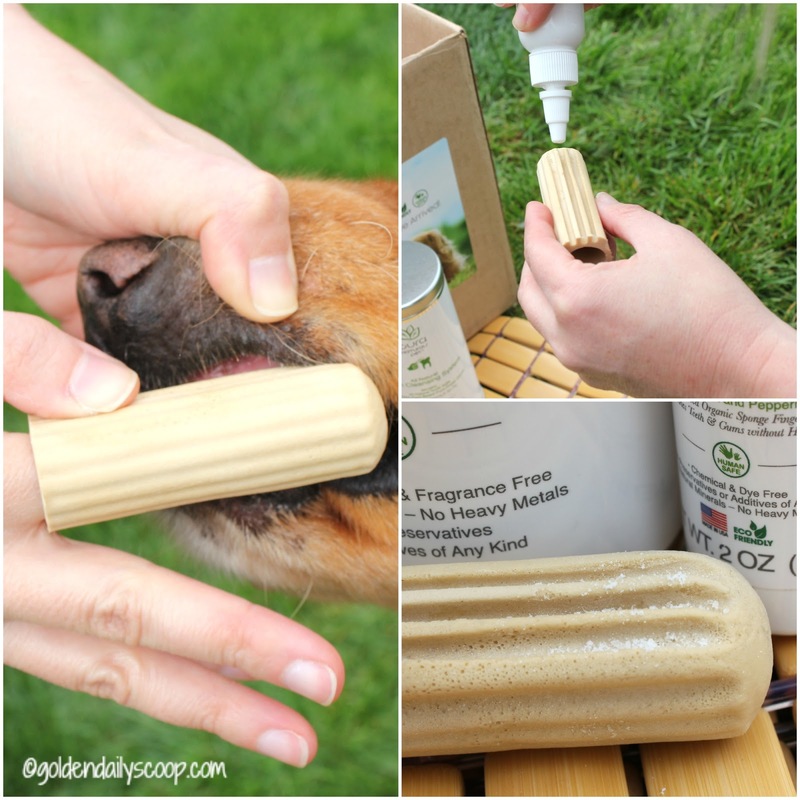 We've been using teeth and gum wipes from Earthbath and also the Petzlife spray. I had this problem with my other senior cocker but trying to find chews for senior dogs who don't have their full set of teeth is so tricky!